If Civilization VI is locking up for you while loading, there's an easy fix. Civilization VI has had a pretty smooth launch, with just some minor issues popping up here and there. But there is one pretty annoying bug that's been reported a few places - the game sometimes takes forever to load, or doesn't load at all. If you've encountered this annoying issue, here's some good news: it's easy to fix. Apparently the issue arises because of a conflict with anti-virus programs - specifically Windows Defender on Windows 10. One option would be to disable the program, but that's not recommended - especially if Windows Defender is your only anti-virus protection. Scroll down until see "Exclusions"
Click "Add an Exclusion" and then "Exclude a Folder"
That's it! If you've been having this issue, these steps should alleviate the problem. 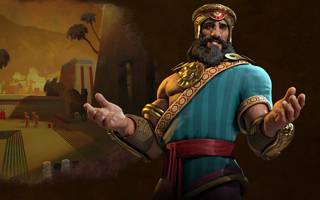 If you're having other issues with Civ VI, let us know what they are in the forums!